Arunachal Pradesh Chief Minister Pema Khandu said the State has lagged behind due to historical neglect, but ‘unprecedented interest’ taken in the North-east by Prime Minister Narendra Modi has helped the State embark upon a new growth trajectory. The focus on the region has been manifest in air and road connectivity in the State as well as the region, the Chief Minister said on the inaugural day of the two-day 67th plenary of the North Eastern Council (NEC) in Shillong on Monday. He, however, said more needs to be done in accelerating the pace of progress of ambitious road projects – Trans Arunachal Highway (TAH), Frontier Highway and East-West Industrial Corridor – besides tapping the State’s potential to general 50,000 MW of hydroelectricity and become agriculturally self-sufficient. “With Alliance Air starting a 42-seater ATR aircraft service from Kolkata to Pasighat via Guwahati, our State has entered a new era in civil aviation. Our second airport at Tezu is also ready for operation and air service to this eastern township is also expected soon. 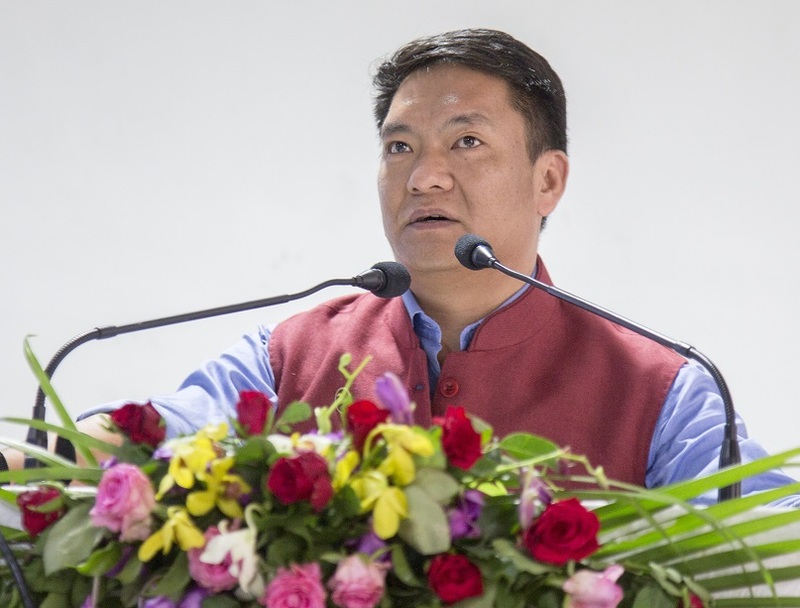 I am hopeful that with the continued support of the Centre under UDAAN-2, we will be able to link few other important and far flung destinations of our State with the rest of the country which will boost connectivity, tourism and other economic activities,” Khandu said. Khandu thanked Rajnath Singh and MoS Home Kiren Rijiju for expediting the State government’s proposal for construction of Arunachal Frontier Highway along the international border and East West Industrial Corridor along the foothills. But he lamented the sluggish progress of TAH due to constraints of tough weather and massive landslides. “About 414 km of the road is prone to flood damages. People of these areas are suffering due to the dilapidated road condition. Recent road accidents at Akajan-Likabali-Bame stretch were very disturbing and it is requested that NHIDCL takes necessary safety measures to prevent such incidents in future,” he said. Requesting NEC to explore creation of separate fund focusing on big road projects in the region, Khandu said 10 orphan roads on Arunachal-Assam border have been identified under NEC’s North East Road Sector Development Scheme. He urged NEC to revisit the guidelines while prioritizing the scheme with representation from the State government besides increasing the “very meagre” amount of Rs. 1,000 crore earmarked for it. On the Centre’s vision of doubling farmers’ income by 2022, the Chief Minister cited the outcome of a conclave in Itanagar for focusing on State-specific crops and strengthening marketing infrastructure. Khandu sought the Centre’s help in increasing bank penetration in the State for promoting entrepreneurship and increasing credit-deposit ratio from the current 29 per cent, one of the lowest in India with the national average being 78 per cent. Among others, he requested technical support in establishing forward and backward linkages in agriculture and horticulture sector, increasing the number of seats for MBBS students in Tomo Riba Institute of Health and Medical Sciences to 100 from the next academic session and set up a cancer care institute. The CM also focused on development of Tirap, Changlang and Longding districts, where ‘insurgent groups have been trying to take advantage of economic backwardness to lure the youth away’.